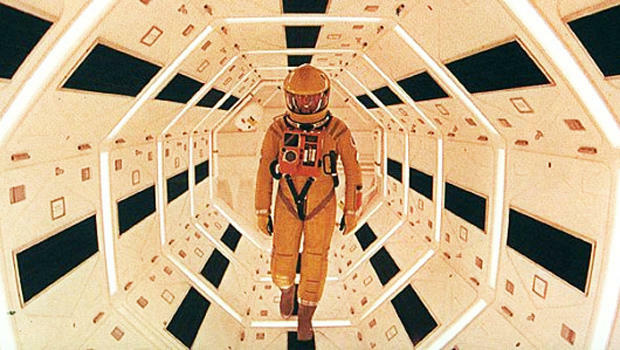 New, "unrestored" 70mm prints of "2001: A Space Odyssey" will be released in select U.S. theaters in May, to mark the 50th anniversary of Stanley Kubrick's science fiction masterpiece. Warner Brothers said Wednesday that a new print will premiere at the Cannes Film Festival on May 12, introduced by filmmaker Christopher Nolan, with members of Kubrick's family in attendance. The re-release will then open in select U.S. cities beginning May 18. Though hotly debated upon its release, the film -- co-authored with science fiction writer Arthur C. Clarke -- has since been acknowledged as one of the most creative and influential movies of all time, and one of the most visually innovative. Spanning a million years of man's evolution, it is centered on a journey to understand the purpose of an undecipherable object of alien origin. It was nominated for four Academy Awards, including Best Director and Best Screenplay, and won the Oscar for Best Visual Effects. In 2012 it was ranked No. 6 on the Sight + Sound critics' poll of greatest films of all time. Critic Roger Ebert, who included the film in his all-time 10 best list, wrote, "Alone among science-fiction movies, '2001' is not concerned with thrilling us, but with inspiring our awe." The studio says that the new 70mm prints are being struck from elements copied from the original camera negative, without any digital remastering, effects or edits -- as closely as possible matching the film as it was originally presented in April 1968, projected in 70mm on Cinerama screens. "One of my earliest memories of cinema is seeing Stanley Kubrick's '2001: A Space Odyssey,' in 70mm, at the Leicester Square Theatre in London with my father," said Nolan, the director of "The Dark Knight," "Inception" and "Dunkirk." "The opportunity to be involved in recreating that experience for a new generation, and of introducing our new unrestored 70mm print of Kubrick's masterpiece in all its analog glory at the Cannes Film Festival is an honor and a privilege." This fall, the film will be released in 4K resolution Blu-ray with HDR.